In the last week or so I’ve started watching a Netflix series with my children called ‘The Hunt’. It’s a nature documentary narrated by David Attenborough, focused on exactly the part of nature you’d expect based on the title: The Hunt part! The cinematography is stunning – I have absolutely no idea how on earth they manage to get the footage they do; all manner of predators in their natural environment doing what they do best, it’s quite something. Just yesterday though, in the middle of an episode, I was immediately struck by what I saw and how it could be applied to our life. We began following a pack of wild African dogs across the African plains in search of their next meal. Zebra? Too big. Meerkats? Not enough to go around! Ah – Wildebeest – here we go! So, here’s what the dogs do: they run at the wildebeest, yapping and barking and generally acting as if they’re about to tear them to pieces – BUT – if the wildebeest refuse to move there is absolutely nothing the dogs can do about it. 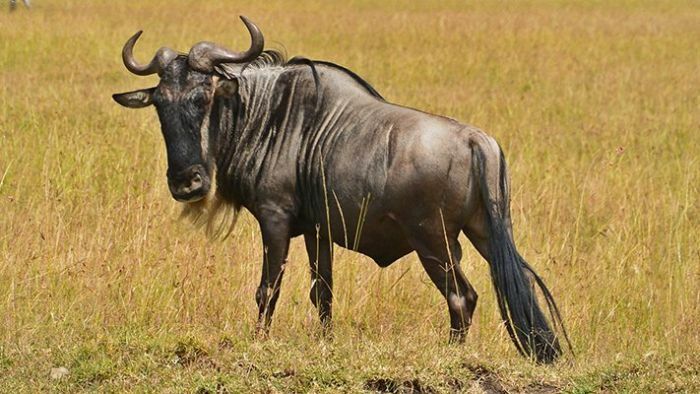 The truth is, they don’t have the ability to take down even a single wildebeest – it’s far bigger, stronger, and it has horns, all it has to do is ignore the fuss and continue on with its day. The only hope the dogs have (according to David Attenborough), is to get the wildebeest running. If they can get them running, eventually the wildebeest will become so exhausted they can no longer defend themselves – and what would have been easy if they’d stood their ground will be impossible because they ran. Of course – at first the whole herd takes off, but after 10-15 seconds they stop – and together turn to face the dogs. The dogs left the herd standing there and chased the three that continued running. After a short chase two of the three stopped and they too, lowered their horns and challenged their pursuers to ‘give it a shot’. The dogs decided against it – after all, there was nothing they could do. Instead, they put all their energy into going after the one remaining wildebeest that had not stopped running. I don’t need to tell you what happened when it could finally run no more – when it had used all its strength fleeing and had none left with which to fight. How often are we faced with challenges and fears, things that send us running in a panic that in reality had no ability to harm us in any way – if we’d just stood our ground. And then of course, we exert so much energy avoiding the confrontation, avoiding the battle that we wear ourselves down – so that when what we’re running from finally catches up to us – it DOES actually seem like a really big deal, like it was worth running from in the first place. I wonder if we could learn a lesson from the Wildebeest. Don’t run. Stand firm. Face the challenge head on. I wonder if we did that – if we’d discover that most of the noise that’s being made is just that – noise. I wonder – do you have the courage to stop running?